Armoraire Filtration System	"Let us protect your breathing space when under attack with our special air filtration and pressurization system." The Armoraire Filter System provides the owner of a security vehicle with an extra level of security beyond protection from an overt hostile attack. In these dangerous times when it is possible for you to be faced with a non-targeted terrorist attack from a dirty radioactive bomb or an airborne gas, the Armoraire Filter System insures the safety and security of the occupants of the vehicle. Until now, either of these threats would have breached the armor protection and disabled the occupants. Now, Armoraire can provide a system for security vehicles that will allow the occupants to survive these types of attack. The Armoraire Filter System maintains a positive pressure within the vehicle using air that has been rendered free of both harmful gases and dangerous solid particles. An activated carbon filter is used to absorb any harmful gasses while a special filter will remove 99.97% or more of any particulate matter. The system maintains a cabin pressure that is slightly higher than the outside pressure. This insures that all air leakage is out of and not into. 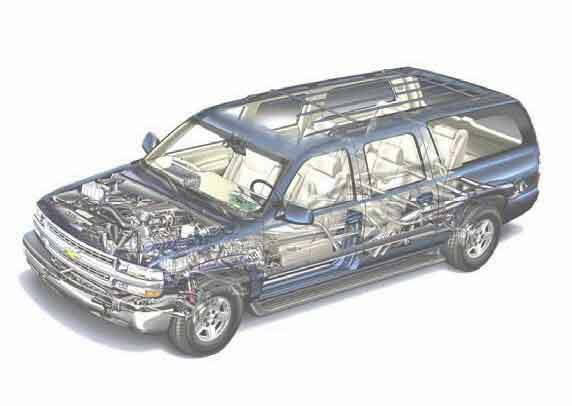 The system has two separate subsystems that work together to keep the occupants safe. The first part is the physical filtering system that has the gaseous filter and a particulate filter along with a powerful blower that is used to maintain the positive pressure. The second part is an electronic control system that monitors all pertinent vehicle conditions and controls the blower to maintain a safe environment. The Blower/Filter Subsystem is contained in an enclosure that is approximately 12 in x 24 in x 18 in (305mm x 610mm x 457mm) in size. Outside air is drawn into the unit and clean, safe air is discharged into the intake of the vehicle heating/air conditioning system so that hot or cold outside air is never directly vented into the passenger compartment. Filter elements can be easily changed without the use of any tools. In addition to providing the occupants the above information, the touch screen also provides capabilities for activating the various safety and offensive systems. These might be items like Nail Dispensers, Oil Dispensers, Teargas Dispenser, Sirens, Automatic Telephone Calling, or almost any other device the buyer might want.